1.2 What is folic acid? 1.3 How to obtain folic acid? 1.4 When to take folic acid? 1.7 Where can folic acid be found? Folic acid (Vitamin B9), also called folacin or folate, is a water soluble vitamin of the vitamin B group. The name “folic” comes from the Latin “folia” meaning leaf. The reason for this name is due to the fact that this vitamin was first discovered in the 40s in the leaves of spinach. Photo of Swiss chard, broccoli and cauliflower. 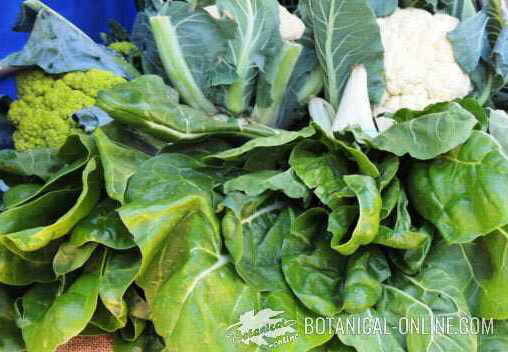 The most folate-rich foods are green leafy vegetables. How to obtain folic acid? In fact, folic acid should call the form produced by synthesis, while, when it comes from the foods, we should call it folacin. From a purely chemical standpoint, it is called pteroylmonoglutamic acid or pteroylglutamic acid. Folic acid is essential for the proper functioning of our body. At the cellular level its importance lies in its role in the synthesis of DNA (deoxyribonucleic acid or element of the cell that contains and transmits genetic characteristics) and RNA (needed for the formation of proteins and other cellular processes). Thus, for cells to properly duplicate need the presence of this vitamin. This is not their only function but folic acid is also involved in other processes that affect the heart, nervous system, the formation of the fetus, etc. 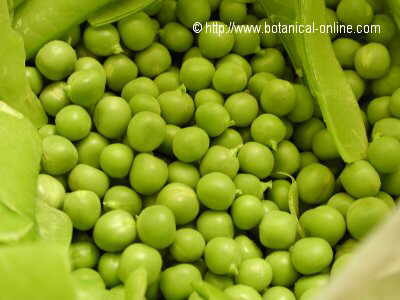 Photo of peas. The most important dietary sources of folic acid come from green vegetables. Its importance is such that, in 1998, the FDA (Food and Drug Administration Food and Drug Directorate = U.S.) ordered to add this component to many consumer staples such as bread, pasta or cereals. Despite this, in recent studies, it has been found to provide 88% of the U.S. population consumes less than the amount recommended basic or RDA. Recipe of boiled vegetables. 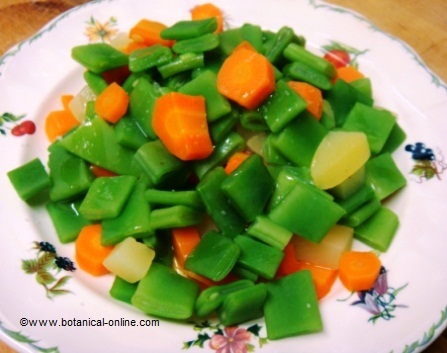 People with vitamin B9 deficiency should increase the dishes with green vegetables. Where can folic acid be found? Food of animal origin: This vitamin appears very little in animal sources. Can only be found in significant proportions in the liver of chicken and beef. The milk or milk derivatives contain very low amounts. We must bear in mind that the manipulation of foods rich in folacin can destroy more than half of its content. Certain medications, such as those taken by people with arthritis, prevent the normal absorption of folic acid from food. The ingestion of folic acid supplements may be necessary in special circumstances when the diet may not be able to provide individual needs. Old or people majors that live single or in institutions badly directed: Since it is a water soluble vitamin, she destroys herself easily when manipulating it. Repeated overheatings, badly storage of foods, etc. 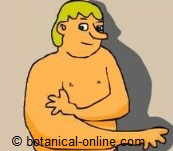 We do not have to forget that, as of the 65 years, the organism has in addition less capacity to absorb this vitamin. Pregnant or nursing Women: Part of this vitamin transfers to the fetus or the baby. In order to avoid problems of bad formation or incorrect growth in the baby it is best to ensure an additional amount. People who smoke: Tobacco is responsible for a bad absorption of vitamins of group B.
Alcoholic People or who drink habitually: Alcohol produces bad absorption of vitamins or a destruction of the same. People with problems of frequent evacuations: Intestinal patients with habitual depositions ( Crohn’s disease , ulcerous colitis or similar) have a bad absorption of this vitamin. Certain medicines: Some medicines block the absorption of folic acid. Between all of them we have: the contraceptive pills, certain medicines for cancer, inflammatory arthritis, etc.